At a point almost halfway between the east and west coasts of Australia, a mob of emus scamper along the Napandee property fenceline. The mallee scrub out this way appears otherwise deserted, the kind of remote location where one could hide a dead body and get away with it – but what about an entire country’s radioactive waste? Landowner Jeff Baldock is determined to find out. Speaking in a considered gravelly tone through a bristling grey moustache, the third-generation farmer has an Ian Chappell-esque air about him as he defends the decision to formally nominate his land in Kimba, South Australia, as a site for the federal government’s national radioactive waste management facility. It would serve as a repository for intermediate-level waste from the Lucas Heights nuclear site in New South Wales and low-level waste from across Australia. If his property is selected, Baldock stands to be paid four times the value of 100 hectares of the land, but he says the real advantage would be providing economic benefit to the thousand or so residents of a struggling agricultural district. It isn’t the first time Baldock has nominated land for consideration. Last year the federal government ruled out another property of his after the assessment process was abandoned because of local resistance. But Baldock says those against the proposal didn’t give it a chance. “The most disappointing thing about this is the anti group was dead against this in about 48 hours – I can’t see how they would have known all about it in 48 hours, ” he says. In nominating again along with another landowner, Baldock has reopened wounds that were only just starting to heal in a community tightly bound by the challenges of an isolated life in the northern reaches of the Eyre peninsula. 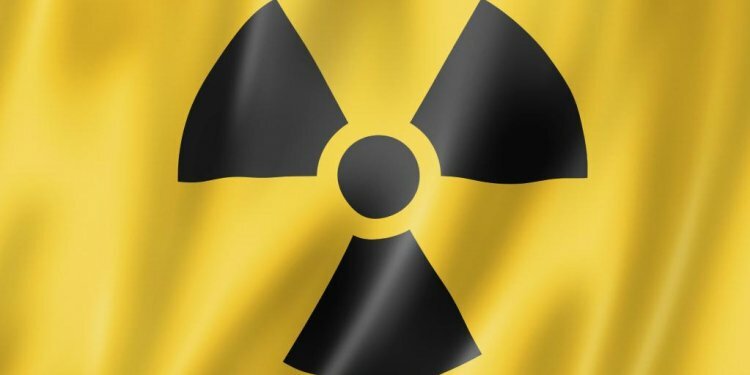 Last year Kimba held two of the six possible locations flagged by the government for the nuclear waste site, with one other in SA, and one each in Queensland, NSW and the Northern Territory. But locally that means formerly loyal customers are boycotting businesses, old friends cross the street to avoid walking past each other, landlords are threatening to evict tenants, Kimba Tigers footy club members are at each other’s throats, and insults are traded over shop counters and Facebook pages. Walls between community members are cropping up in all walks of life – even literally so, in the case of the new cafe next to Kimba’s central roundabout. The swish vintage decor of Eileen’s is disrupted by a plywood-and-pine wall blocking off a gate that until recently led to the florist next door. Across the face of it is written “Trump’s wall”. A couple of women in the shop joke over their coffees that the barrier should be covered up with flowers. The cafe owner, Michelle Rayner, says she and her husband, Brett, weren’t heavily involved in the last lot of discussions about nuclear waste, fully occupied in that moment by the launch of their business. This time, however, they’ve decided to nominate their farm, Lyndhurst, as the other potential site. Sitting a metre from the wall, Rayner says the reaction to her decision was “strongly positive – lots of messages of support, people popping in from the street – it’s been great”. One person who didn’t appreciate those supporters dropping by is Jacinta Woolford, who owns the building and runs the flower shop that once shared space with the cafe. She and her husband, James, installed the wall to divide the two establishments and then shut up shop, moving their business online. Speaking at their farm 25km out of town, the Woolfords say people who support the nuclear facility now completely ignore them, including a neighbour whose cat they used to feed. Jacinta says the first assessment process was tough but having to go through it again a second time is all too much. “People having coffees … with the shop being open like that you hear the conversations, ” she says. “These people would be whinging about everybody, and then walk through my shop without even speaking to me. All the people for it, that was their meeting point.